Edgewater was originally built in 1906 for Betsy’s grandmother, Alice, as her wedding present from her husband, Harvey Dunbar. 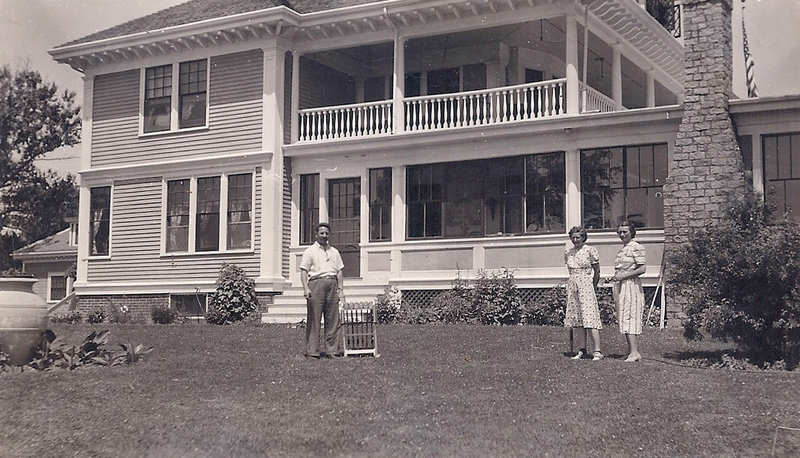 Harvey had many business ventures in Sullivan that were severely impacted by the Depression. 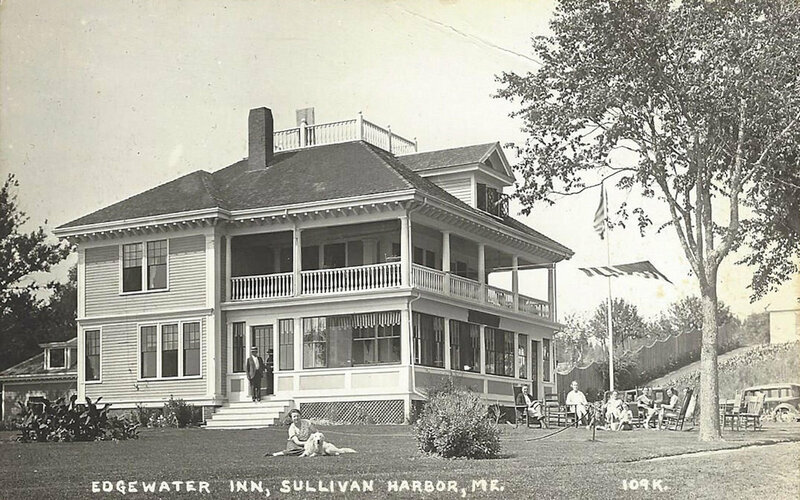 In order to save this property and others they owned from bankruptcy, Alice turned the main family house into an inn and served tea on the original porch. 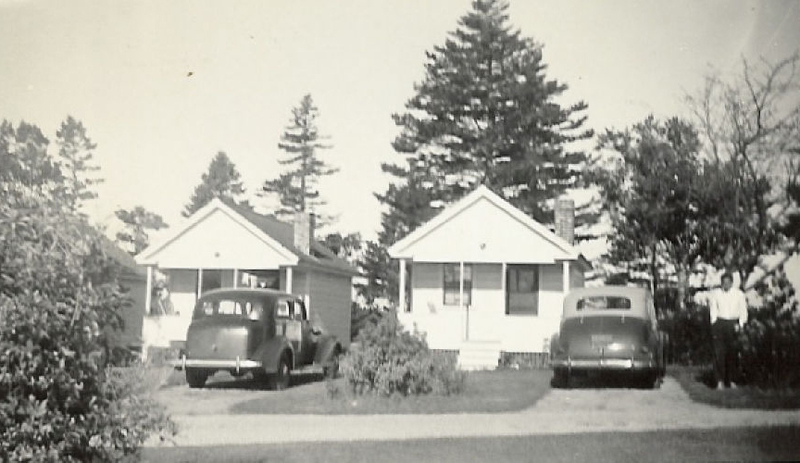 As it grew in popularity, Alice built four overnight cabins. Later she would buy the ferry ticket office and it would become the Green Cabin. Later, she enlarged the porch on the main house and opened a restaurant. In the early 1960’s, Alice’s son Emery and wife Lydia took over the business. They eventually added kitchens to the existing cabins and built two additional cabins. Now in the third generation of ownership, Emery and Lydia’s daughter Betsy and her husband Roger are continuing the tradition. They have turned the house back into a private home and have completed many renovations on the property with careful attention in keeping the coast of Maine charm. The wharf area has been restored with renovations to the boathouse and the dock was rebuilt. 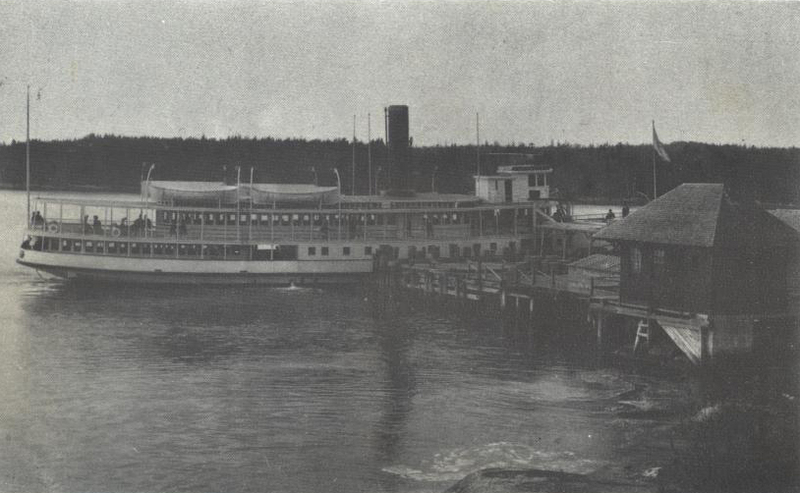 In the early 1900s, the wharf was one of the stops for a 134 foot ferry, Norumbega that ran from Bar Harbor to Hancock, Sorrento and Sullivan. The boathouse, a ticket house and a large ramp for loading can be seen in the picture. The boathouse is still used today, and the ticket office, as mentioned before, was moved up the hill in the 1940’s and enlarged to become the Green Cabin. The history at Edgewater also includes many facets of early 1900’s commercial activities in the area, including shipping Sullivan granite and receiving shipments of coal. Evidence of both can be seen around the property.